An extraordinary hidden complex of archaeological monuments has been uncovered around Stonehenge using hi-tech methods of scanning below the earth’s surface. The finds, dating back 6,000 years, include evidence of 17 previously unknown wooden or stone structures as well as dozens of burial mounds which have been mapped in minute detail. Most of the monuments are merged into the landscape and invisible to the casual eye. The four-year study, the largest geophysical survey ever undertaken, covered an area of 12 square kilometres and penetrated to a depth of three metres. British project leader Vincent Gaffney, from the University of Birmingham, said: “Stonehenge is the most iconic archaeological monument, possibly along with the pyramids, on the planet. “However, the idea of what Stonehenge is for people is rather strange, especially if you walk around it. It sits there in splendid isolation. “For the past four years we’ve been looking at this amazing monument to see what was around it, what was actually within its landscape. 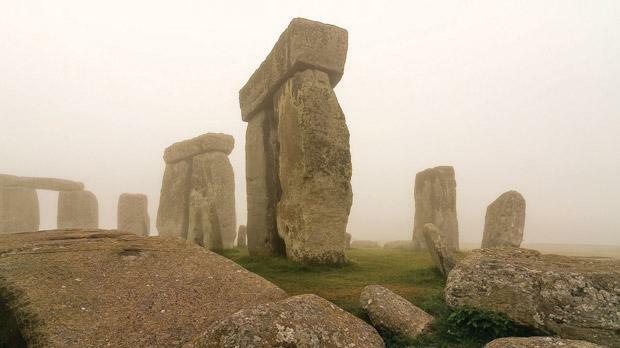 “Most of the area around Stonehenge is terra incognita. It has never been explored and everything we think about Stonehenge is on the basis of what we don’t know about it. 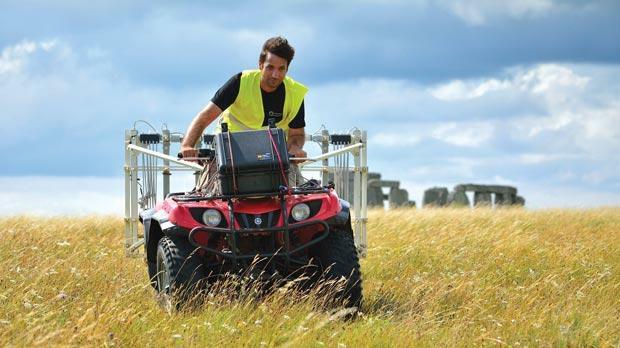 “This project has revealed that the area around Stonehenge is teeming with previously unseen archaeology and that the application of new technology can transform how archaeologists and the wider public understand one of the best-studied landscapes on earth. “New monuments have been revealed, as well as new types of monument that have previously never been seen by archaeologists. All of this information has been placed within a single digital map, which will guide how Stonehenge and its landscape are studied in the future. The investigators used a battery of state-of-the-art instruments including magnetometers – essentially advanced metal detectors – ground-penetrating radar arrays, electromagnetic sensors and lasers. Among the new discoveries are massive prehistoric pits, some of which appear to form astronomical alignments. New information has also come to light about known monuments, including the Durrington Walls ‘super-henge’ situated a short distance from Stonehenge. The survey showed that Durrington Walls, which has a circumference of nearly a mile, was once flanked by as many as 60 massive posts or stones up to three metres high. Among the many burial mounds is a striking long barrow 33m long within which signs of a massive timber building were found. Evidence suggests this was the site of complex rituals involving the dead, including the removal of flesh and limbs. Gaffney said the new work showed that Stonehenge was not an isolated structure on the edge of Salisbury Plain, but the centre of a complex widespread arrangement of ritualistic monuments that had grown and expanded over time. “The presence of monuments generates activity which generates more monuments,” he told a press conference at the British Science Festival at the University of Birmingham. “What we’re seeing is this unconscious elaboration of the Stonehenge landscape. The Stonehenge Hidden Landscapes Project is to be featured in a new BBC2 series, Operation Stonehenge: What Lies Beneath.